Sussex Country Floral proudly serves the Sussex, Wisconsin area and numerous surrounding areas. 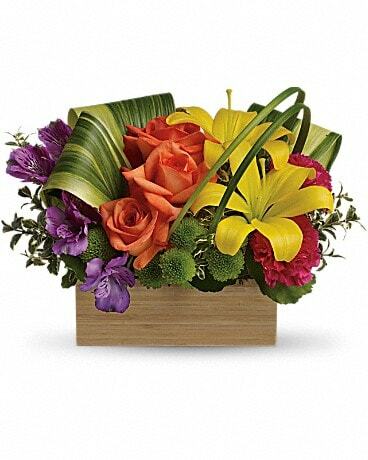 We are family owned and operated and are committed to offering only the finest floral arrangements and gifts, backed by service that is friendly and prompt. All of our customers are important and our professional staff is dedicated to making your experience a pleasant one. That is why we always go the extra mile to make your floral gift perfect. Let Sussex Country Floral be your first choice for flowers. *Our shop is open from 9:00 a.m. to 5:00 p.m., Monday through Friday and from 10:00 a.m. to 1:00 p.m. on Saturday. We are always closed on Sunday with the only exception being specially-ordered services. All times listed are based on USA Central Standard Time. We are a full-service florist, which means we provide services that one won't find when shopping the grocery or convenience stores. Weddings and wedding receptions, funerals and casket arrangements, retirement parties, and other large events are just a part of what we can do. We maintain an inventory of fresh flowers, plants, dish gardens, and baskets, but if we don't have it today? We can get it! We have a variety of silk and dried floral available and can include a variety of furry creatures, balloons, candy, and fruit. Please note that fruit baskets require 24 hour notice, so that we can ensure the product is as fresh as possible! If you have questions, need more information, or just aren't sure what you wish to do, your quickest response will come from calling us during normal business hours at (262)246-3980. We're always here to serve you and make your flower-sending - and flower-buying - experience a pleasure.